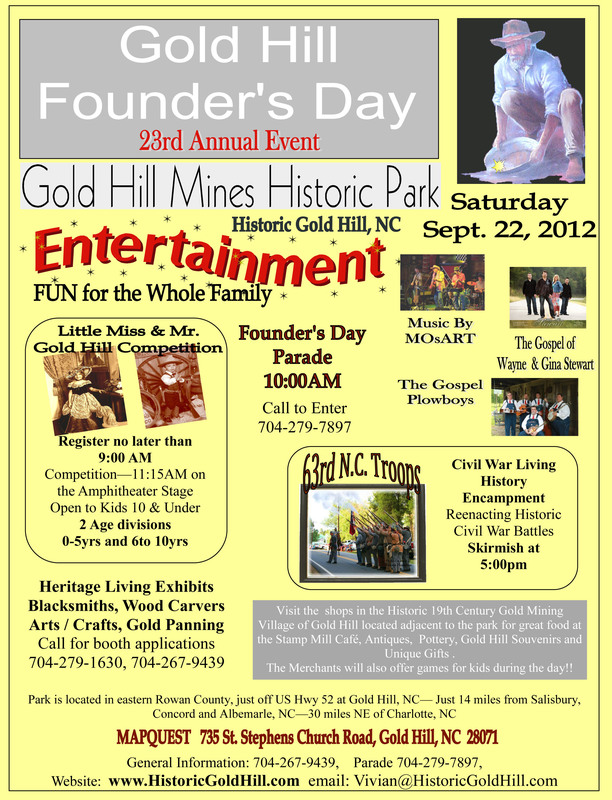 The annual Founder’s Day event will be celebrated this year on Saturday September 22nd. Join us for a fun event that includes: a parade, music, civil war living historic encampment, Little Miss & Mr. Gold Hill competition crafters, The Stamp Mill Cafe and local merchants. Click on the photo below for details! Enjoy the slideshow of last years parade.